Simon has worked in the railway sector since 1977 and has a vast array of operations, safety and strategic experience in regional, national and international positions. He has been with the UIC since 2003 and has been responsible for coordinating the European portfolio since 2009. 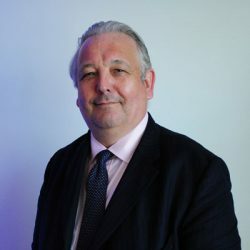 He worked for Eurostar in the 1990s, putting together the framework that allowed Europe’s first truly interoperable high speed service to operate safely. 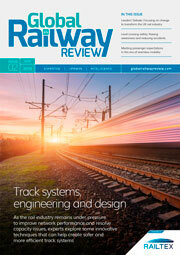 His roles including Operations Director, Head of Safety and Standards, and as Coordinator of the UK’s operating rules and regulations, have prepared him well for providing a major contribution to the development of the interoperability and safety management structures of the European railway system. He is a member of the UIC Board of Directors and as Coordinator Europe he works closely with 65% of the UIC’s European-based stakeholder companies. As the UIC’s ‘Man in Brussels’, he is able to interface with other rail associations in supporting the design, construction, operation and maintenance of the railway system. Today the focus is on vision and strategy, and developing innovation and standardisation programmes for the future European railway system. The leadership role performed by the UIC in Europe is central to ensuring that tomorrow’s railway is one that plays a clear and key part in the economic strength of Europe and in developing rail as the attractive land transport mode-of-choice for Europe’s citizens.